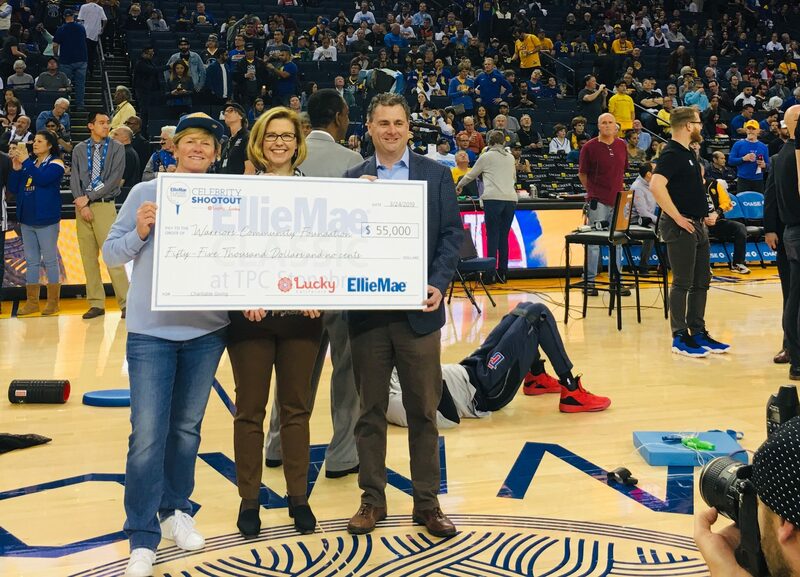 Lucky California, along with EllieMae, presented a $55,000 donation to the Warriors Community Foundation at the Golden State Warriors vs. Detroit Pistons game this past weekend! The Warriors Community Foundation is dedicated to impacting the lives of undeserved youth by supporting educational equity, creating safe and clean places for basketball in low income communities, and sharing the joy and excitement of Warriors home games with local school and nonprofits around the Bay Area. This donation will go towards rebuilding a local basketball court in our community.